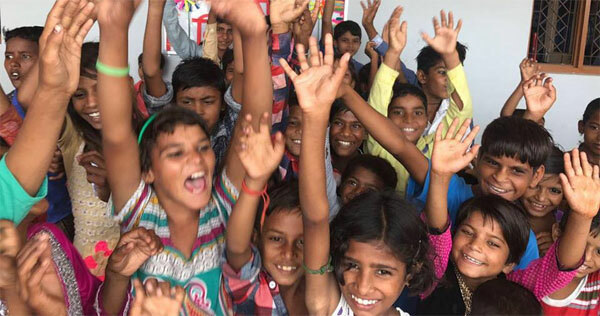 The Satsang Vidyalaya—an initiative of The Satsang Foundation—offers free, high-quality, multi-lingual education to the low-income communities of Madanapalle, Andhra Pradesh. Founded by Sri M in 1999 in Sugali Thanda, it started with a thatched hut with two teachers and handful of children, and has since grown into an institution of 200 children studying in Classes I – X. The English medium (Andhra Pradesh State syllabus) school has 15 teachers, 11 classrooms, a Library, a Computer Lab with Internet access, and a Science Lab. of Nakaladinne, a tribal settlement on the outskirts of Madanapalle. In a chat with them, he was dismayed to find they weren’t enrolled in any school! On further prodding, he realised that the Lambani community was indeed willing to educate their children but lacked the opportunities or the means to do so. 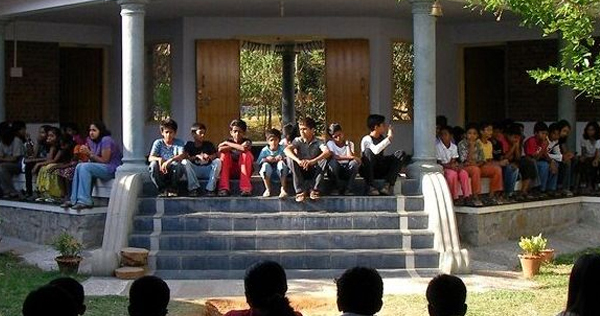 With a modest capital, he started Satsang Vidyalaya – a school offering free education. Satsang Vidyalaya meets all its expenditure through contributions by friends, well-wishers, and supporters from around the world. Majority of students, who are first generation learners, belong to the Lambani tribal community, which has been traditionally termed ‘backward’— characterised by zero or low educational background with starvation, undernourishment, and joblessness being some of its perennial issues. In addition to the tribal community, children from low-income Hindu, Christian and Muslim families also study at the school. Traditionally, most children of the tribe and the impoverished local community do not go to school because families can neither afford the fees nor are aware of a good education’s benefits. The learning environment at Satsang Vidyalaya is about fun in learning wherein imbibing knowledge is a graceful process. There are no exams for the lower classes, while there is continuous evaluation in the higher classes and children study together— using a peer-assisted model. Games and co-curricular activities are integral to learning and students are taught to take care of the environment in a sustainable way. A model school with consistent 100 per cent results in Class X exams, Satsang Vidyalaya safeguards the ‘right-to-education’ for fringe communities.